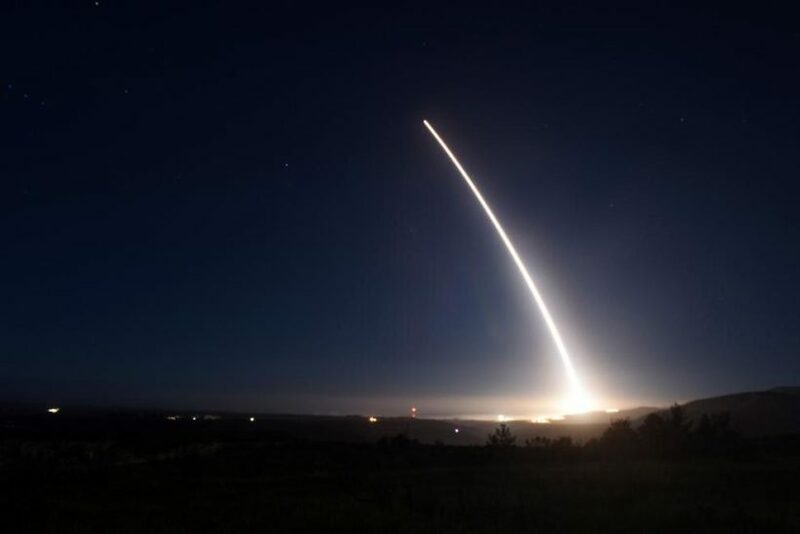 (by David Alexander, Reuters) VANDENBERG AIR FORCE BASE, CALIF. — The U.S. military test-fired its second intercontinental ballistic missile (ICBM) in a week on Thursday night, seeking to demonstrate its nuclear arms capacity at a time of rising strategic tensions with Russia and North Korea. 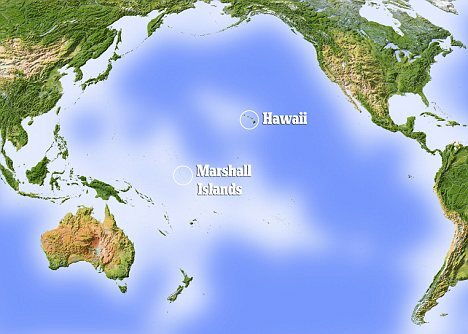 The unarmed Minuteman III missile roared out of a silo at Vandenberg Air Force Base in California late at night, raced across the sky at speeds of up to 15,000 mph and landed a half hour later in a target area 4,200 miles away near Kwajalein Atoll in the Marshall Islands of the South Pacific. [About four missile tests are conducted each year and the tests are publicly announced and closely monitored by other countries. Dep. Sect. Work said the Pentagon understood the financial problem. The department would need $18 billion a year between 2021 and 2035 for its portion of the nuclear modernization, which is coming at the same time as a huge “bow wave” of spending on conventional ships and aircraft, he said. 1. What is an intercontinental ballistic missile? 2. a) Where did the Minuteman III missile launched from Brandenburg AFB in California on Thursday land? b) How many miles away was the landing location? c) At what speed did it travel? d) How long did the test take to complete? 3. What was the purpose of this and other recent test-fires? Be specific. 4. Why were these two recent tests so important? 5. How has the Obama administration addressed this problem? 6. a) How does President Obama’s defense budget differ from his previous stance on nuclear weapons? a) With whom do you agree: anti-nuke advocates or the information from USA Today? b) How important do you think it is for the U.S. to have a nuclear weapons and the ICBMs necessary to carry them? The Air Force operates 450 Minuteman missiles — 150 at each of three missile fields in Wyoming, Montana and North Dakota. A few times a year, one missile is pulled from its silo and trucked to Vandenberg, minus its nuclear warhead, for a test launch. 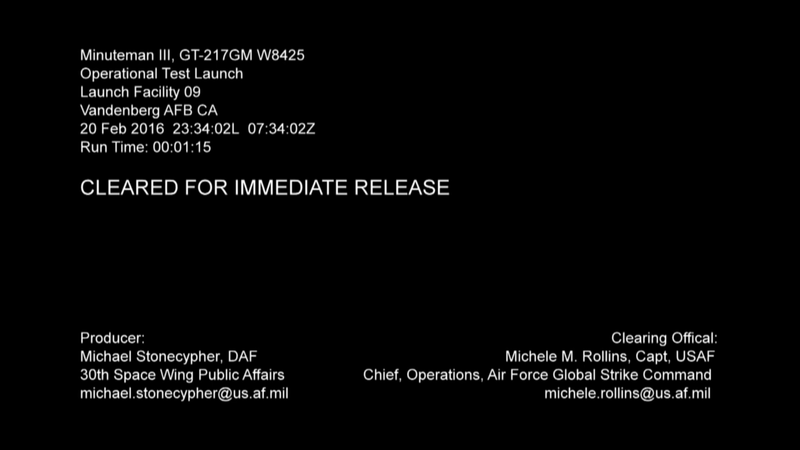 Aside from confirming technical soundness, Minuteman test launches are the U.S. military’s way of sharpening the message that forms the foundation of U.S. nuclear deterrence theory — that if potential attackers believe U.S. nuclear missiles and bombs are ready for war at all times, then no adversary would dare start a nuclear fight. Together, the United States and Russia control the vast majority of the world’s nuclear weapons, and both countries regularly conduct ICBM test launches. The Russians generally do them more often, at least in part because they have new missiles in development whereas the Minuteman 3 is the only U.S. ICBM. The U.S. Air Force is planning a new-generation ICBM, but it is not scheduled to begin entering the force until about 2030.